The series speculated on such things as visitors from other planets, UFO incidents, space fight, espionage technology, and miracle drugs that could cure all ills. Stories of crackpots, who turn out to be visionaries, and eyewitnesses to the fantastic, fighting to be believed. The show also utilized experts as consultants to help keep the show within the known realm of the scientific possibilities speculated at the time. 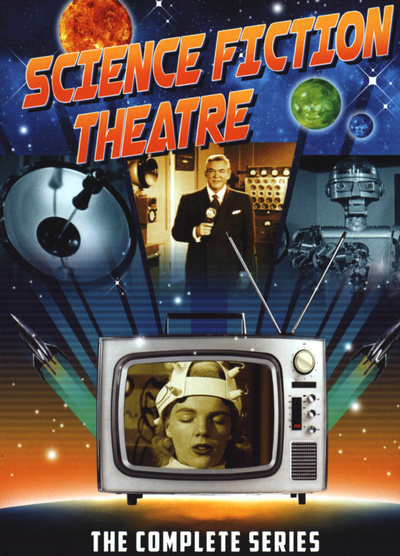 Guest stars on this unique program feature a roster of actors well-known to any lover of classic film and television, including DeForest Kelley ("Star Trek"), Hugh Beaumont ("Leave It To Beaver"), Barbara Hale ("Perry Mason"), Gene Barry (The War of the Worlds, "Burke's Law"), Macdonald Carey, Edmund Gwenn (Miracle on 34th Street), Beverly Garland, Basil Rathbone, June Lockhart ("Lost In Space"), and the great Vincent Price.